Jesse Dayton’s career trajectory is the sort of choose-you-own-adventure-story where all the right pages seem to have been turned. Born in Beaumont, Texas, Dayton enjoyed formative stints during his teenage years playing in Louisiana zydeco bands. That led him to serendipitous encounters with Johnny Cash and Waylon Jennings, and an unexpected detour into horror film soundtrack production for Rob Zombie. Dayton’s knack for stumbling into the right place at the perfect time belies a creative work ethic honed with a combination of punk rock moxie and blue-collar discipline. Dayton's got classic Southern sensibilities and vehemently progressive politics. He’s outspoken about repealing marijuana prohibition laws and challenging the stranglehold of Big Pharma. 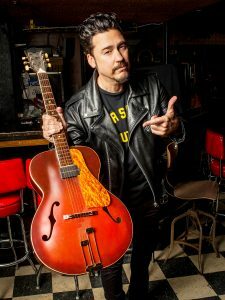 After years of touring with Road Kings and Alamo Jets—two rockabilly outfits—he took a gig producing and playing on Supersucker’s Must Have Been High album, and was subsequently discovered by Waylon Jennings while on a press tour in Nashville. Hired-gun recording sessions with Jennings, Johnny Cash, Ray Price, Glen Campbell, and Willie Nelson soon followed. Those veteran players taught Dayton lessons about navigating the music business and furthered his inclination to work hard on his own terms, even if it meant remaining on the margins of the mainstream industry. Today, mainstream country radio isn’t knocking down his door—and Dayton’s fine with that. He’s been busy accruing fans via a relentless touring schedule (he’s been on the road in the States and Europe almost non-stop for four years). His fans prefer their country dusted with more grit than glitter. He also remains a go-to hire for seasoned artists like John Doe, who tapped him to fill in for X guitarist Billy Zoom when Zoom was sidelined with cancer. Dayton: taking on the alt-right. Dayton operates with a combination of classic Southern sensibilities and vehemently progressive politics. He’s outspoken about repealing marijuana prohibition laws and challenging the stranglehold of Big Pharma. 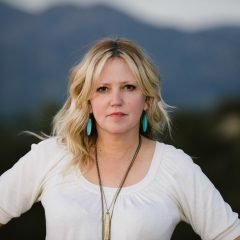 With a booming voice and swagger evocative of George Jones and an attitude and verbosity that would have put him in great company with The Clash’s Joe Strummer, he unapologetically tussles with conservative fans on social media. His new album The Outsider, which drops today, is part redneck romp, part liberal manifesto, and a whole lotta fun. Leafly caught up with him during his drive to start The Outsider tour at the Chickie Wah Wah in New Orleans. Leafly: The new album is entitled The Outsider, but you have an impressive history of connecting with some pretty big names inside the canons of both country and punk. How do those intersecting experiences inform who you are as an artist? 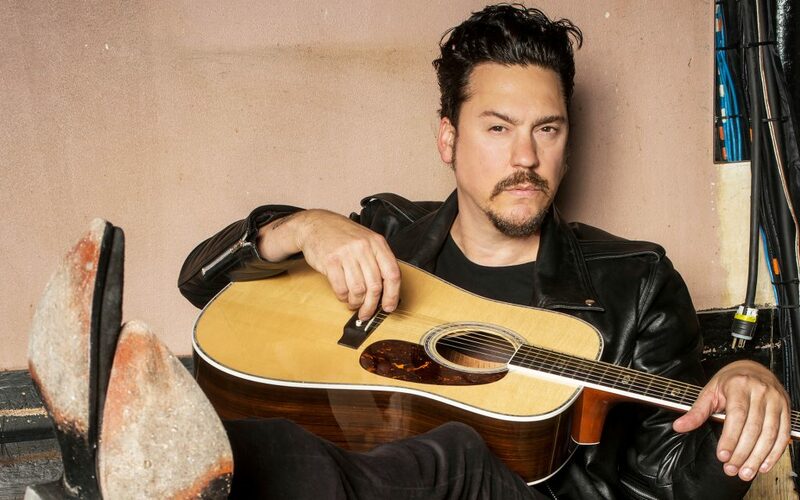 Jesse Dayton: Looking back, my whole career has a been one strange event after the next…all these events have become a hybrid that have made me who I am today, musically and personally. There’s a part of me that’s learned this is all one big spiritual journey and that being more Zen in my thinking like Cash and Willie is better for my mental and physical health and happiness. The song “Charlottesville” on the new album is about the resurgence of white supremacy. It seems like you have a lot of fans who assume your Texas home and twang in your voice is indicative of conservative politics. How does that impact your dialog with an audience who might love your music but is aghast at your politics? I haven’t lost as many fans as you would think, but I have lost some. It’s okay though, there’s almost eight billion people on the planet, so I can replace them with better ones. I grew up in a rural setting, hunting and fishing, listening to country music, just like these folks. The difference? I read a lot. I traveled. I became friends with people outside of my bubble. The problem is that these folks are being inundated with a false narrative that immigrants and technology and the government are out to destroy their way of life. In reality, these corporations are the ones who are really destroying their lives with astronomical fossil fuel prices and products that are bad for the planet…Big Pharma hooking them on prescriptions like OxyContin, big insurance destroying their healthcare plans, college loans creating young indentured servants, Monsanto and corporate food is poisoning them. They know they’re disenfranchised; they’re just not voting their interest. It’s sad. As far as “Charlottesville”, I was proud Rolling Stone did a feature on me saying “Jesse Dayton takes on the Alt Right.” Our grandfathers fought the Nazis to liberate our Jewish brothers and sisters. I married a Jewish girl. I have zero tolerance for those idiots and we need protest songs now more than ever. You’ve been very outspoken on social media about your anger surrounding the social ills and greed behind the mechanisms of big pharma and your frustration that marijuana is still stigmatized and criminalized. Have you always felt this way, or does the need to overturn the systems that support large drug companies and punish natural solutions like medical marijuana feel more acute now? I’ve been very vocal and outspoken about Big Pharma, Big Tobacco and even the alcohol industry “rigging the game.” These multinational corporations have infiltrated Washington by giving these cut-throat lobbyist millions to throw at our elected officials so they can control state and federal laws on marijuana. Big Pharma is especially scared of marijuana legalization, because they are currently making zillions by turning the American public into OxyContin addicts for pain. They know that these folks could easily regulate, or even in some cases completely cure their pain issues with the right strain of properly prescribed marijuana. We have to fight these corporate hookers like Jeff Sessions, who’ve been bought and sold by Big Pharma. We’ve already seen the miraculous economic benefits of marijuana legalization in states like Colorado and Oregon. Are you concerned that legalization could lead to pushing smaller growers out of business? Or negatively impacting people of color who have been disproportionately incarcerated via the drug war? Right now every corporate entity from Wall Street to Big Pharma is doing massive market research on the economic growth of marijuana legalization. There’s huge money to be made. Since we essentially live in a corptocracy now—meaning corporations own our politicians outright—I’m terrified that smaller family growers, family distributors, and individual hemp workers will be immediately cut out of the system. The real problem with all this is how it will impact the prison industrial complex which is basically for-profit private prisons that target people of color. These private prisons are fighting against legalization in fear that it might lead to legalization of other narcotics. The war on drugs has been very profitable for these folks and there are over one million people—predominantly young African Americans—in our rigged prison system to prove it. Until Americans take to the streets and protest together, it’s business as usual. On the lighter end of that spectrum, you must have a good story about WIllie and weed. Care to share? I was playing a show in Austin during SXSW with country legend Ray Price. I went on Ray’s bus and Willie was on the bus. As soon as I walked up, Willie passed me the joint they were smoking. I took a couple hits passed it to Ray and then Ray lit up another one, so we had two joints going. Then Willie’s legendary road manager Poodie walks up and lights up another one. Look man, I’ve smoked weed everywhere…Jamaica, Amsterdam, Mexico, Humboldt…and I’ve never in my life been as high as I was that day and I had to play a show! I was actually hallucinating onstage! Anyway, be careful when you smoke with Willie…once you start, there’s no turning back! Love Jesse’s music and his politics. A session with Willie is on the top of my bucket list!